In the last two decades, water consumption in Germany has been decreasing which causes water tanks and pipes in water distribution systems to work inefficiently. 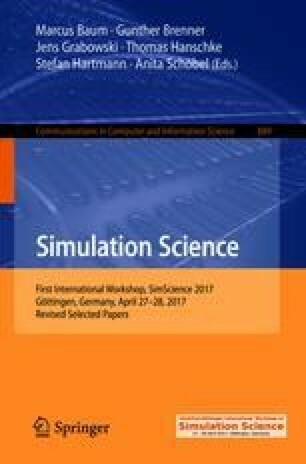 This paper presents a mathematical optimization model to optimize water tanks in a water distribution system. Due to the hydraulic properties in water distribution systems the model is a non-convex Mixed Integer Quadratically Constrained Program (MIQCP). For problem instances of realistic size, the model cannot be solved within reasonable time with exact solution methods. We use different heuristic solution methods to solve the problem, such as a Simulated Annealing (SA) algorithm, a Shuffled Complex Evolution (SCE) algorithm as well as a Shuffled Frog-Leaping Algorithm (SFLA). These methods are combined with a hydraulic simulation to evaluate the solutions. The results of each method are compared to an exact solution method and discussed in this paper.